PT Brantas Abipraya (Persero) - PTBA or known as "Brantas Abipraya" is a rapid growing company in Indonesia, running business in Engineering and Construction company. Brantas Abipraya has main business focus on construction projects related to water infrastucture. Its projects include dams and weir, tunnel work, road and bridges, irrigations and river improvement, dredging and reclamation, and manufacturing landscape. Brantas Abipraya is a state-owned company and is fully-owned by the Government of Indonesia. Brantas Abipraya has its legal domicile in Jakarta and was established in 1980 as expansion result of Project Brantas river, the development project of Brantas river basin in the East Java province. Brantas Abipraya runs its business through 4 division offices and 5 regional offices spread across Indonesia. PT Brantas Abipraya (Persero) was able to perform well and achieved encouraging results of operations in 2014. 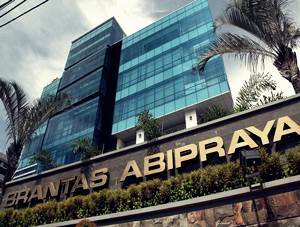 Brantas Abipraya's total revenue rises 58.23% from Rp1,441.25 billion in 2013 to Rp 2,280.6 billion in 2014. The Company's net profit in 2014 jumped 24.72% to Rp 90.8 billion higher than the net profit recorded in 2013 of Rp 72.8 billion. This figures above was quoted by JobsCDC.com from the Indonesian State-Owned Enterprises Company Profile 2014 issued by the Ministry of State-Owned Enterprises. Male, with maximum age of 45 years old as per May 2016. Minimum background in Undergraduate Degree (S1) and preferably a Postgraduate or Master Degree (S2) in Information and Technology Management or equivalent is a must. Holds around 3 years experiences as as IT Manager in construction industry or similar major. Have good skill and knowledge in IT Master Plan and IT Governance project. Strong organizational skill, including the ability to quickly resolve problems and work with a minimum supervision. Show leadership and also good team member. JobsCDC.com now available on android device. Download now on Google Play here. Please be aware of recruitment fraud. The entire stage of this selection process is free of charge. PT Brantas Abipraya (Persero) - Senior IT Manager Brantas Abipraya June 2016 will never ask for fees or upfront payments for any purposes during the recruitment process such as transportation and accommodation.